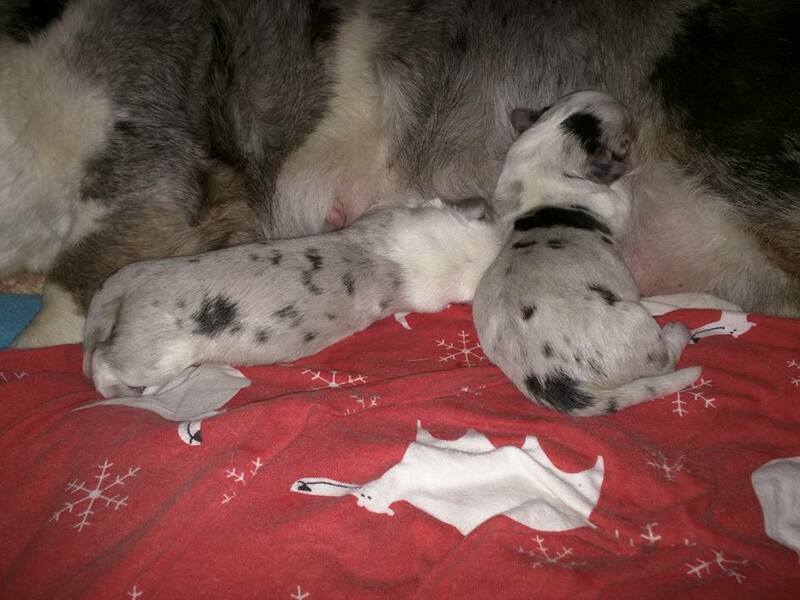 Since the puppies were born the same week as Martin Luther King Jr day, we decided on a Civil Rights theme. 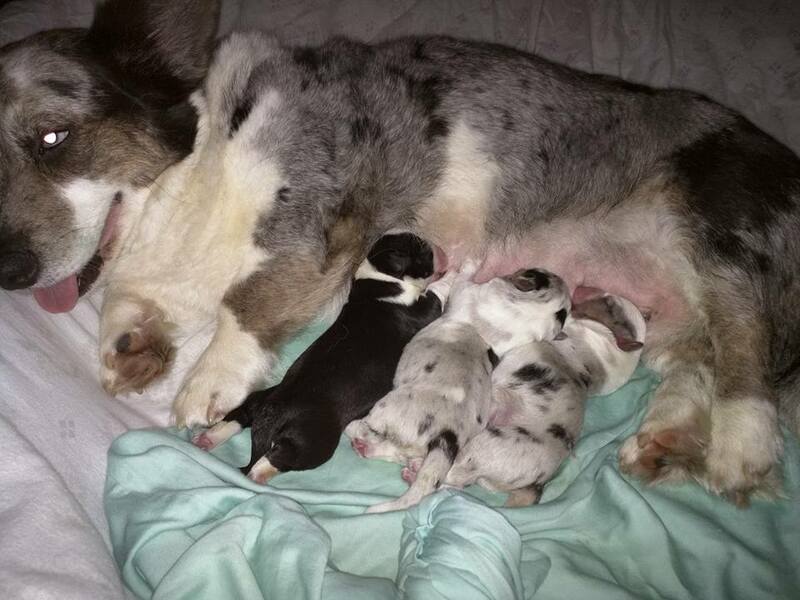 Ava free-whelped 2 blue boys and one black girl early this morning between 12:45am and 5:15am. I'm exhausted since she started labor about the time I was laying down to go bed. We don't have any individual pictures yet, but here are a couple photos. Meet Abe, Thaddeus and Rosa.